Two-time NBA MVP Steve Nash has announced the fifth edition of his popular charity soccer match, the Steve Nash Foundation Showdown, will return Wednesday, June 27, 2012, to New York City. 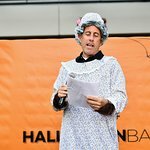 This year’s Showdown is sponsored by GNC, adidas, Modell’s Sporting Goods, Phebe’s Tavern, Naked Pizza, Find Me Gluten Free, Landmark’s Sunshine Cinema, Major League Soccer, KICKTV, Uber and Crunch Gyms. Showdown is an 8-a-side soccer match featuring NBA and professional soccer players, joining forces to support the Steve Nash Foundation’s work to benefit underserved children. 100% of proceeds from the auction and ticket sales will benefit the Foundation’s work to increase access to high-quality early learning services to children through Educare. The game kicks off at 6:30pm, with the best of two sports worlds competing at Sara D. Roosevelt Park in the Lower East Side (at Chrystie and Stanton Streets). Afterwards, Nash, fellow players, friends and fans will gather for Showdown After Hours, a cocktail party and live auction. Past Showdown rosters have included international professional soccer players Giuseppe Rossi (Villarreal), Claudio Reyna (USA), Javier Zanetti (Inter) and World Cup- winners Thierry Henry (New York Red Bulls) and Patrick Vieira, along with an array of stars from England’s Premier League, Spain’s La Liga and Italy’s Serie A, and NBA stars Tony Parker (San Antonio Spurs), Baron Davis (NY Knicks), Grant Hill (Phoenix Suns), Brandon Jennings (Milwaukee Bucks), and Chris Bosh (Miami Heat). Tickets and VIP packages to Showdown and Showdown After Hours, as well as unique contesting opportunities, are available now at www.SteveNash.org/Showdown. Live insights into this year’s lineup, archived materials and prizes (including autographed merchandise) are on the official @SteveNashFdn twitter handle now. 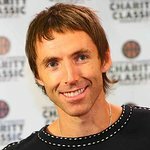 Follow @SteveNashFdn and visit www.stevenash.org/Showdown to get involved.